Lowongan Kerja Danone Pulogadung Jakarta Oktober 2016 - Danone is an international company present on all continents. The group holds top positions in healthy food through four businesses: Fresh Dairy Products, Early Life Nutrition, Waters, and Medical Nutrition. Its mission is to bring health through food to as many people as possible. Danone has over 190 production plants and around 104,000 employees. In 2013, the company generated sales of over €21 billion, with more than 60% in emerging countries. 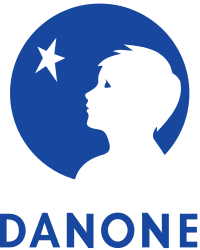 Listed on NYSE Euronext Paris, Danone is a component stock of leading social responsibility indexes including the Dow Jones Sustainability Indexes, Vigeo and the Ethibel Sustainability Index. Danone is also ranked n°1 in the 2013 ATNI index. Apabila anda tertarik dan ingin melamar, silahkan lakukan pendaftaran online disini.